Tom Deas is board certified by the American Board of Internal Medicine in both Internal Medicine (1981) and Gastroenterology (1989). He began his gastroenterology medical practice in Fort Worth in 1991 after serving 20 years in the U.S. Air Force, retiring as Colonel. In December 2014, he retired from Gastroenterology Associates of North Texas in Fort Worth and is now serving as Vice President of Physician Development with North Texas Specialty Physicians. 1996-present has successfully cared for 70,000+ Medicare Advantage patients. 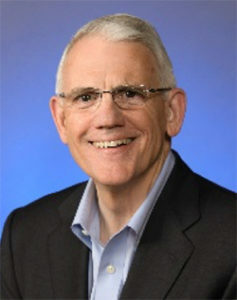 Having served as Chief Medical Officer for Sandlot Solutions and President of CNC, and currently as NTSP VP of Physician Development, Tom is an outspoken advocate for improving patient care through health information technology which provides point of care clinical information and more effective care coordination. He is a frequent speaker at national meetings and has published articles on improving care quality, health information technology, and achieving efficient, high-quality care.